In a surprising turn of events in the China-U.S. relationship, both countries revealed earlier this week that top officials would participate in a diplomatic and security dialogue this Friday, a bilateral conversation that was supposed to be held in October. U.S. Secretary of State Mike Pompeo and Defense Secretary Jim Mattis met State Councilor Yang Jiechi and Defense Minister Wei Fenghe in Washington for what was intended to be a "frank and open" discussion on crucial issues such as "strategic security," cooperation on Afghanistan and Iran and the avoidance of accidents between the two militaries. U.S. Ambassador to China Terry Branstad told media on Thursday, "We want this to be a constructive, results-oriented relationship with China. . .The U.S. is not trying to contain China but we want fairness and reciprocity." Statements made by Foreign Ministry Spokesperson Hua Chunying on Friday reflected a similar sentiment: China hopes the talks will "enhance mutual understanding, properly manage differences and promote dialogue and cooperation through equal-footed and friendly exchanges." While Friday's meeting indicated a step toward increased high-level communication between the two countries, others are framing this dialogue as more of a placeholder until Presidents Trump and Xi meet face to face at the G20. At a joint press conference following the dialogue, U.S. Secretary of State Pompeo noted that the representatives covered topics such as North Korean denuclearization and Iranian oil exports, while both parties reiterated their positions on the often controversial freedom of navigation operations in the South China Sea. 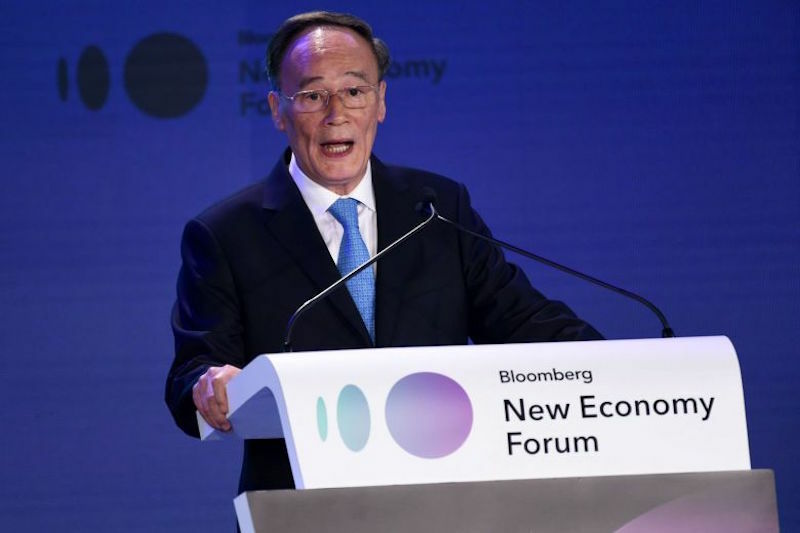 At the Bloomberg New Economy Forum this week in Singapore, Chinese Vice President Wang Qishan and former U.S. Treasury Secretary Hank Paulson made headline-grabbing statements on the China-U.S. relationship. The forum, organized by Bloomberg Media Group and in its first year, is intended as a platform for "leaders of the new global economy to solve the world's biggest challenges through coalition building" — naturally, tensions between China and the U.S. proved a focus of conversations about the world economy. Hank Paulson, a former CEO of Goldman Sachs who is remembered for steering the U.S. through the 2008 financial crisis, argued in his speech that economic engagement was failing and that an "economic Iron Curtain" may descend between China and the U.S. "I am very sobered by the trajectory we are on now," Paulson said. "And ultimately, I think it could pose a risk to the very functioning of the international system." Meanwhile, Vice President Wang Qishan's keynote speech to the forum struck a more positive note on China-U.S. relations and China's opening up and reform process. Contextualizing China's recent moves to open up areas of its market with a narrative of the trajectory of Chinese history and culture, Wang said China would continue to liberalize trade and investment. On China-U.S. trade disputes, he said, "The Chinese side is ready to. . .work for a solution on trade acceptable to both sides. . .in the face of disagreements and challenges, it is essential to step up equal consultation and cooperation by upholding the rules-based international order." 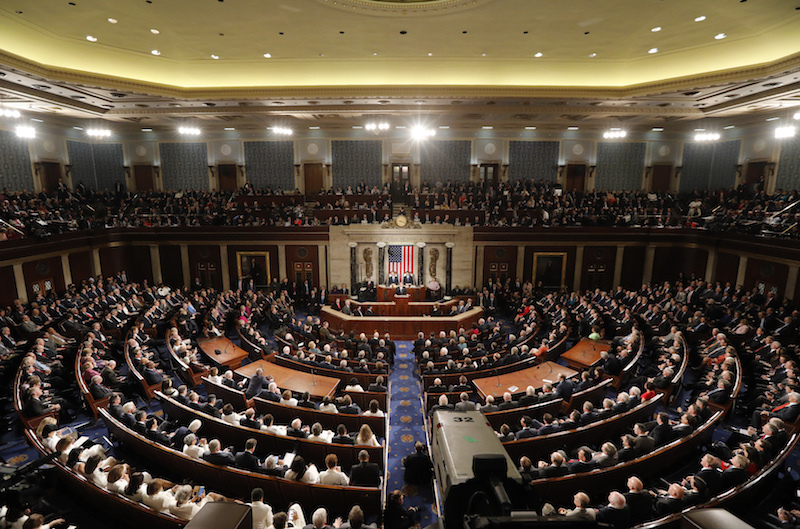 This past Tuesday, the United States held its midterm elections. The Democrats took control of the House of Representatives, while the Republicans remained in control of the Senate. Some Chinese politicians believe that a Democrat-led House could mean a "softer stance against Beijing," according to Nick Marro, an analyst at the Economist Intelligence Unit. But, several analysts, including China-US Focus contributors, have suggested that that is unlikely. First of all, President Trump has the benefit of executive power on trade policy, so he does not need congressional approval to impose tariffs on China. Additionally, Democrats and Republicans may disagree on a whole host of issues, but a toughened China policy is one of the few that there is bipartisan consensus for. 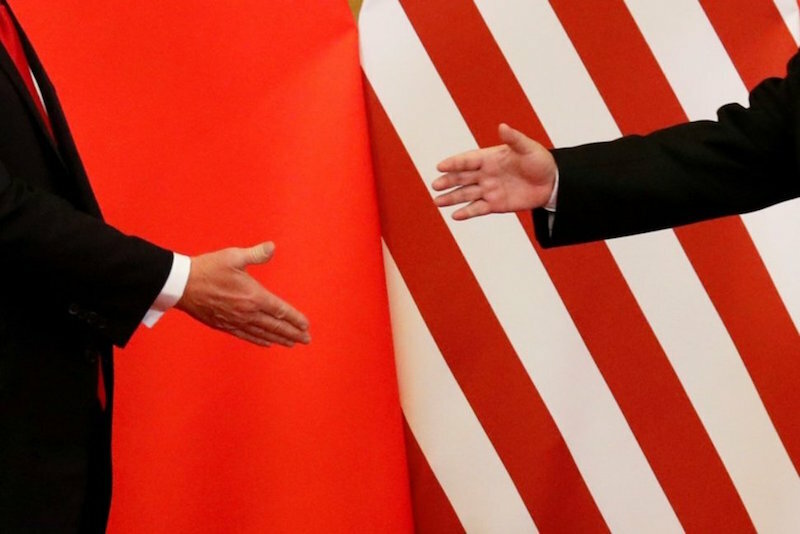 China-US Focus contributor, David Shambaugh, argues that this consensus "will be probably impossible to change barring a complete reversal of the Xi Jinping regime's internally repressive and externally assertive policies." It appears that even many of the Americans who have the most to lose (i.e. soybean farmers) may be in favor of a hard line China policy: candidates who opposed President Trump's tariffs against China were defeated on Tuesday, while those who backed his tariffs won. There are nearly a dozen pieces of legislation aimed at pushing back against China currently pending in Congress and each one shares support across the political aisle. Listen to this week's China-US Focus "At Large" podcast to find out what host James Chau thinks may change in the wake of the midterm elections. 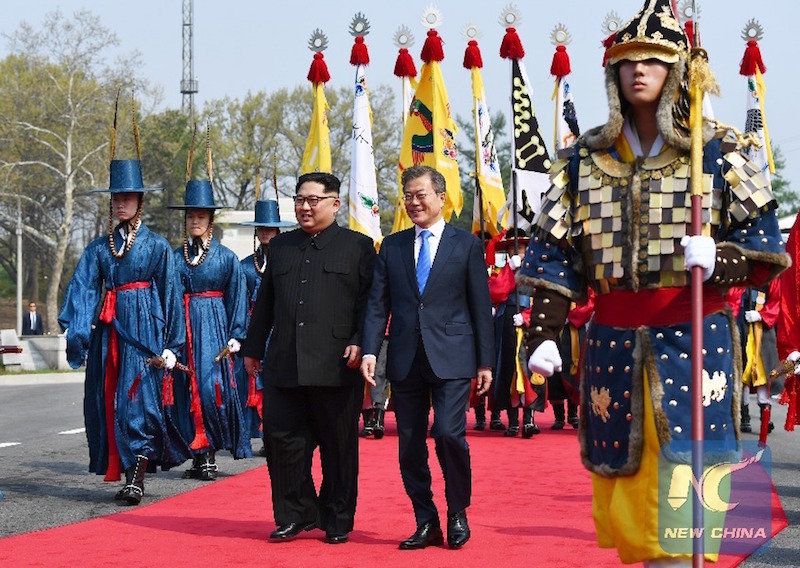 This Week's Top Commentary: "Keeping Up with the Allies"
"It's been clear for months that the United States and the Republic of Korea had different visions for how to move forward on North Korea. But despite efforts from both sides to put up a unified front, it's become obvious in the weeks since the third ROK-DPRK Summit that the Trump and Moon administrations are no longer on the same path," Lindsey Ford, Director for Political-Security Affairs at the Asia Society Policy Institute, wrote this week. "Unless the White House can find a way to get back in the diplomatic driver's seat, the United States may find itself in an increasingly precarious bargaining position." Check out Ford's article, which analyzes the sudden "about face" in the international community's willingness to engage North Korea and the implications for the U.S., on our website.